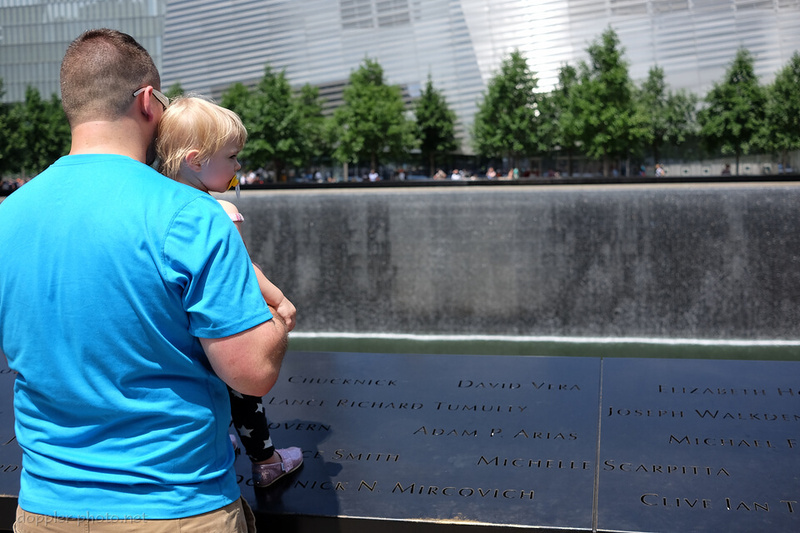 Earlier this year, I visited some friends in New York City, and we took some time to visit the 9/11 Memorial and Museum. The Memorial consists primarily of two square-shaped waterfalls, which are somewhat distinct in that they are so large, but so easy to interact with. The walls of water are dozens of feet tall, and hundreds of feet wide, but the water originates in a mirror pool that you can swirl with your fingertips before it pours over the edge, and your influence can alter the continuously-changing pattern that the water makes as it falls. The names in the memorial are inscribed in bronze panels and mounted where people can touch them. Feel them. Mull them over and ponder them. I noticed that a lot of visitors would stand at the edge, pause with a hand on the stone, and just look out over the water. For the B&W conversion, the main challenge here was that the man's shirt is overexposed in the blue channel. After a couple different attempts to bring his shirt down without adversely affecting the rest of the image, I decided to just crop him mostly out. 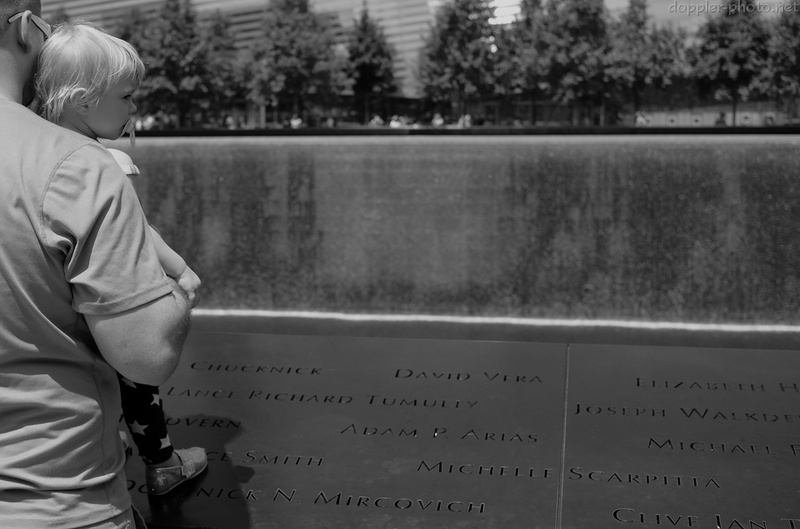 The final image shows him, and shows his contact with the child, but focuses on the child and the child's experience of the memorial.